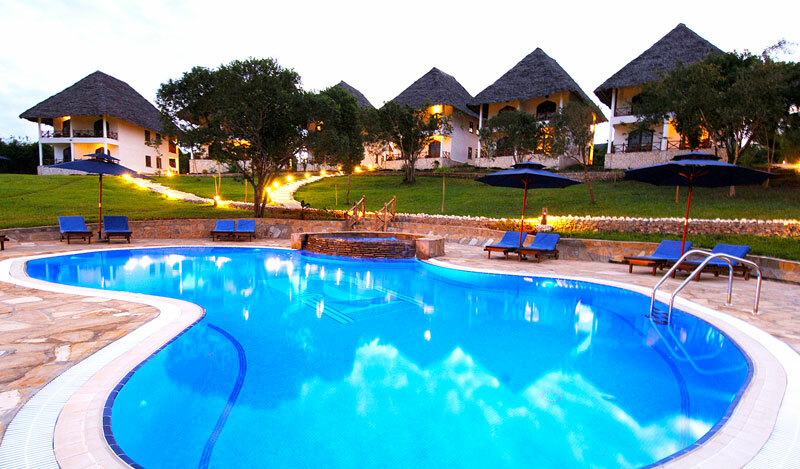 Bluebay Beach Resort is a luxury beachfront resort with traditional Swahili charm. 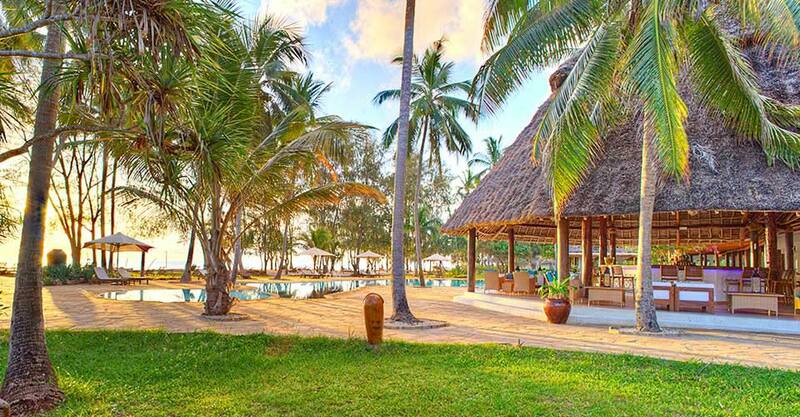 Bluebay Beach Resort & Spa is situated on the finest white‚ sandy beach on the east coast of the island of Zanzibar. 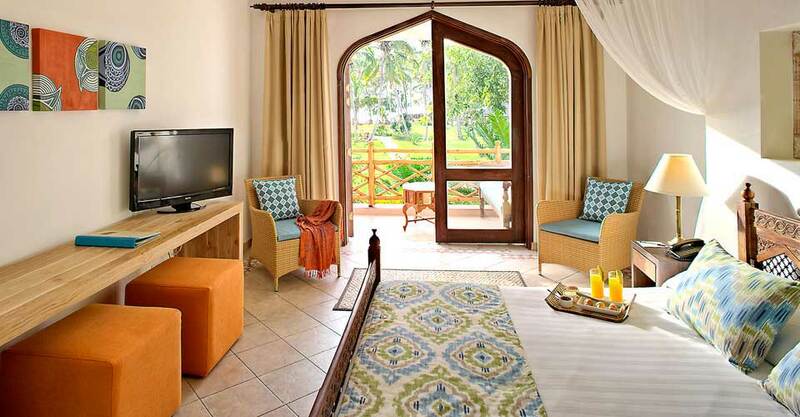 Set in 30-acres of tropical gardens with over 1‚000 palm trees‚ the resort is one of Zanzibar’s most prestigious properties offering the ultimate in beach comfort: excellent accommodation; fine wining and dining. 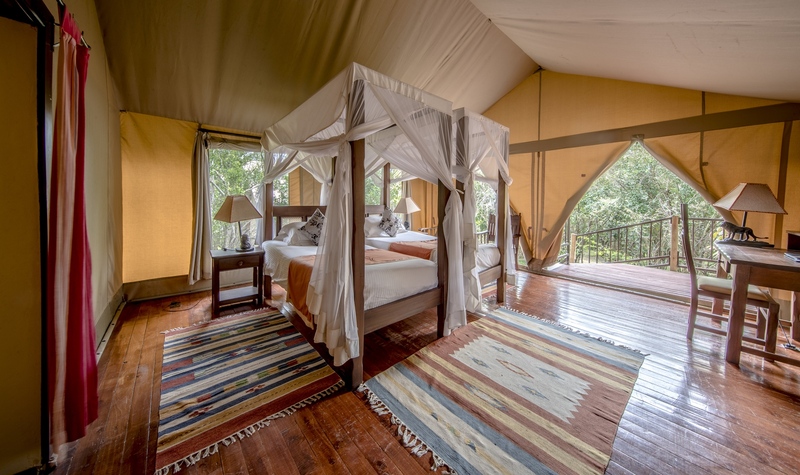 Enjoy a final early morning game drive before breakfast‚ after which you will be transfered to the airstrip to fly back to Nairobi for your connecting flight to Zanzibar at 1400 hrs. The flight to Zanzibar is approximately 1 hr 45 minutes. 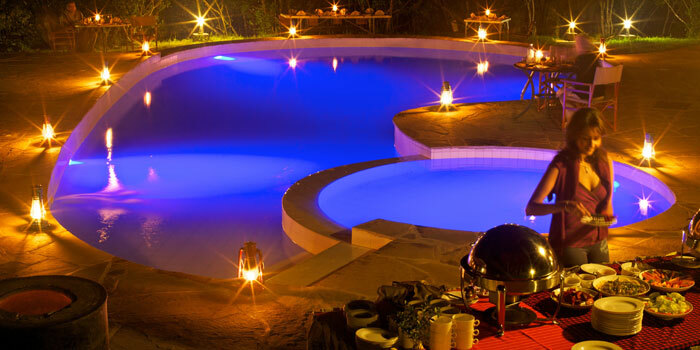 Upon arrival at Zanzibar‚ you will be met by the hotel representative and taken to the Hotel for check in and overnight. Spend the day at leisure or relax at the beach. 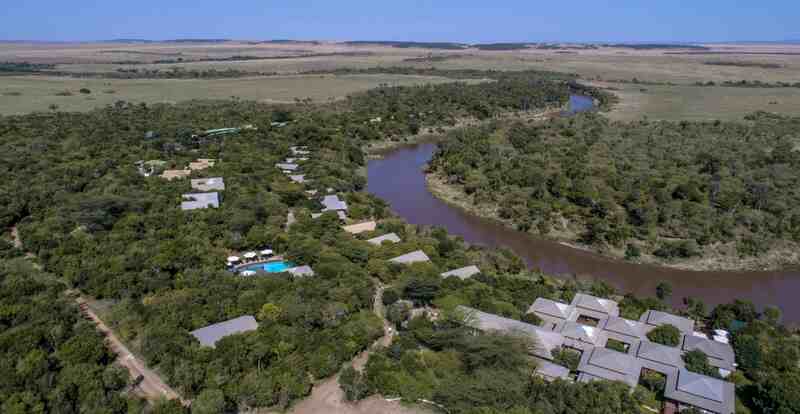 There are many activities to keep you engaged throughout the day like windsurfing‚ beach sports‚ floodlit tennis court‚ table tennis‚ pool tables and fully equipped gymnasium.You can also opt for guided tours of the stone town‚ spice town or other outdoor activities for a fee. Spend your morning at leisure or relax at the beach. After lunch‚ you will be transfered to the airport for your flight back to Nairobi.